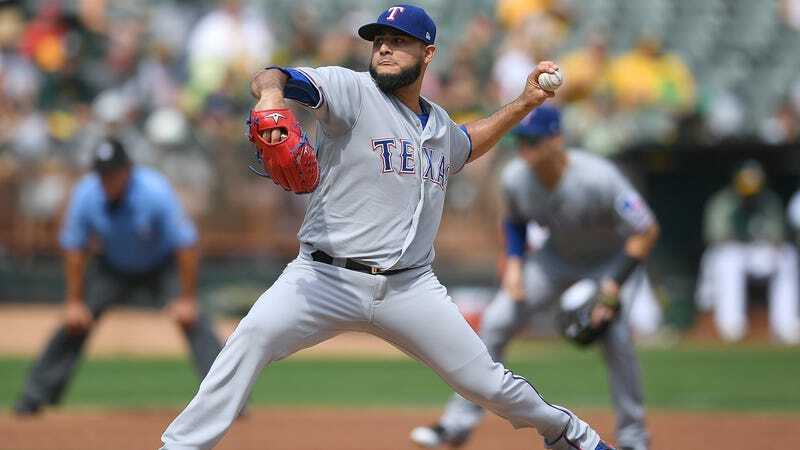 Texas Rangers starting pitcher Martin Perez had surgery yesterday to repair a fracture in his right (non-pitching) elbow on Monday. Perez needed it, team GM Jon Daniels said, because he was startled by a bull on his ranch in Venezuela. Perez, a 26-year-old who’s pitched 383.2 innings over the past two seasons, will reportedly be out for four months, which makes him a borderline case for the start of the season. With this mishap, Perez one-ups former Rangers pitcher Derek Holland, who blamed a 2014 knee injury on his enthusiastic dog taking him out on the stairs in his house.